American (Stoner) Metal band Saviours played the Sonic Ballroom in Cologne on October 19th (check out some photos at my flickr-page). Right before the show, I was able to conduct an interview with drummer Scott Batiste and guitar player/singer Austin Barber. Basanos, hailing from Vienna, Austria, are one of the big Thrash surprises I came across this year. After somewhat withdrawing from the scene in favor of new genres and bands like Mastodon, Isis, Kylesa or Black Tusk, I’m very pleased to discover that the genre is still alive and full of exciting bands like this four-piece. Charlie Daniel’s was right, the devil truly must have gone down to Georgia some day. To Savannah, to be precisely. The latest barrel in Black Tusk’s arsenal of hard hitting weaponry provides enough evidence for this and lets you dial your very own doom. 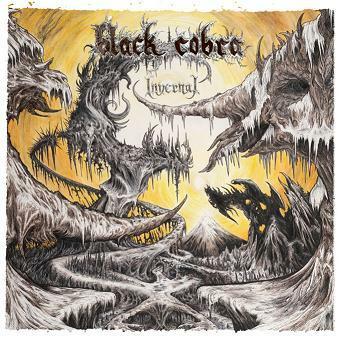 The latest album by the infamous Sludge Metal Doomster Duo Black Cobra is finally released today! You can check out a stream of “Invernal” at www.brooklynvegan.com! I recently bought the latest Mastodon album, called “The Hunter”. So what’s up with the successor of their opus magnum (up to now, that is…) “Crack The Skye”? Well, it follows the footsteps of “Blood Mountain” and “Leviathan”, therefore much emphasis is put on riff-laden, mostly short and hard-hitting stompers and by that the album moves away from the epic conceptual approach that made up their 2009 masterpiece.